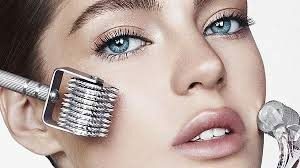 Micro Needling is a highly advanced and unique treatment that uses 540 micro needles with little discomfort, this treatment is excellent for lines, wrinkles, premature ageing, redness, pigmentation, tired dull skin, also excellent for stretch marks and scars on the body, and in the treatment of alopecia. Also excellent for stretch marks, alopecia and scarring. This relaxing treatment uses a mechanical exfoliation that strips back layers of old dead skin cells. Microdermabrasion is one of the most advanced exfoliation treatments on the beauty market. It will leave your skin looking younger, fresher, brighter and with more radiance. It is also excellent for reducing fine and deep lines. Can be taken as an individual treatment or can be added to CACI. IPL (Intense Pulsed Light) treatments are non-invasive and suitable for both face and body. It works by releasing short pulses of light that are absorbed by the skin. Depending on the aims of the treatment, IPL destroys a problem cell/vessel/hair or stimulates a desired cell to produce healing and collagen production. IPL uses wavelengths of heated light, a course of treatments will be recommended by your therapist. IPL Acne Therapy is an effective light-based treatment that is revolutionising the treatment of acne. The IPL Acne Therapy destroys the most common bacteria that cause acne, without pain and without downtime. 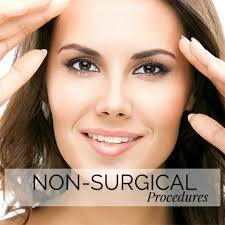 The IPL system is FDA approved for the treatment of acne. Intense Pulsed Light is the treatment of choice for surface red veins. IPL releases precisely controlled strong pulses of filtered light that are absorbed by the blood vessel, heating it to a point where it is destroyed. Following treatments the red veins will clear and are reabsorbed by the body, leaving little or no trace of the original red vein. Sunlight, environmental factors and the natural passage of time all contribute to the development of dark spots, skin pigmentation and freckles. Your face, hands and chest are the first parts of the body to show signs of ageing because they receive so much sun exposure. This is a professional chemical peel designed to resurface the skin with minimal recovery time. our unique, multi-phase approach works with the skin biology to safely slough away dull epidermal layers and accelerate cell renewal without inflammation and prolonged downtime typically associated with chemical peels, your dermalogica skin therapist can help design a series of treatments to address your specific needs, whether you’re looking to address photoaging, fine lines and wrinkles, uneven skin tone or acne breakouts. If you have experienced the benefits off our bio surface peel well why not increase your results by taking it to the next level, with more active ingredients in this stage your will see excellents results, your dermalogica skin therapist can help design a series of treatments to address your specific needs. Add in ultra violent blue light to decrease redness in the skin, this in conjunction with the biosurface peel plus will decrease redness and rosacea in the skin, it will also have an anti ageing affect, along with all the benefits off the peel. To achieve maximum results all CACI treatments requires a course of 10 treatments. Computer aided cosmetology instrument, also known as the on surgical face lift! CACI is used by many celebrities and it is famous for its results. It is often referred to as “a workout for the face”. Caci uses micro current to tone and tighten our muscles. It is excellent for double chins, lifting the cheek bones, lifting hooded eyes, crows feet and excellent for dark circles under the eyes area. Caci facials are followed by deep exfoliation, so after your Caci experience you will be feeling bright and perky! Caci is also excellent for body treatments. Give your eye area a boost in this rapid eye treatment to bring back those youthful eyes. look brighter, fresher and you will look younger. Thermashape is a non-surgical skin tightening procedure that effectively eliminates subtle signs of ageing in the face. Thermashape is used to smooth out wrinkles, tighten the skin, and redefine facial contours. During the Thermashape procedure, high levels of heat are applied to the area being treated using radio frequency energy. During the healing process, collagen rebuilds itself and tightens the skin continuing to work up to six months after the treatment. Thermashape works beneath the outer layer of skin called the dermis. High levels of heat are applied to the treated area through radio frequency energy. This application of heat to the dermis causes an immediate collagen contraction, and gradual collagen tightening to lift the skin. Over time, the collagen rebuilds itself, and causes the skin to tighten, and smoothes fine lines and wrinkles. The Thermashape procedure usually takes 3 hours. After the procedure, the treated area is cooled, heated, and cooled again to make the patient more comfortable. Thermashape is one the the most effective non surgical anti ageing treatments in the beauty industry. This treatment is excellent to reduce pigmentation, redness and scarring, its excellent for a dull tired looking skin. High levels of heat are applied to the treated area through radio frequency energy. Effleurer is a non-surgical skin tightening procedure that effectively eliminates subtle signs of ageing in the face. “The face lift in one hour”. Clients have claimed to reverse between 5- 7 years off in a one hour treatment. Effleurer is used to smooth out wrinkles, tighten the skin, and redefine facial contours. It is excellent to tighten underneath the jawline area, for loose skin and also “double chins”. Effluerer will tighten the jawline area and enhance the cheek bones, smooth lines underneath the eye area and brighten the eye area and lift hooded eyes, it is excellent for forehead line and those deep frown lines. Results will be seen immediately continuing to improve for up to 5 – 6 months. Results can last up to 18 months and then a top up treatment would be recommended. Effleurer uses ultrasound technology which works into the deep layers of skin called the dermis. The dermis will have an immediate collagen and elastin production, therefore this which produce all the effects of a facelift. The Effleurer procedure usually takes between 1-3 hours depending on the clients age with top up treatments to enhance the results. During your consultation your therapist will guide you to the recommended treatment time. Effleurer is one the most effective non surgical anti ageing treatments in the beauty industry.